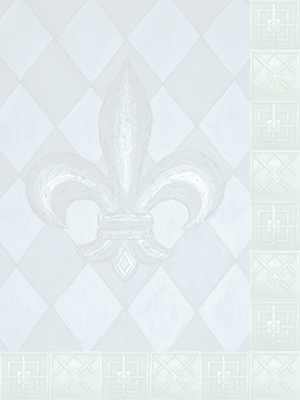 Painting with raised fleur-de-lis in window style with purple background. This soft and durable throw pillow is the perfect accent for any room. Tailored with colored piping around the edges, this custom square canvas pillow adds personalized style to your home. Pillow measures 20" square, maximum print area is 12" x 12"
© 2017 John C. Dupré. Ratrilpot™ and Ratrilpot's logo are trademarks of John C. Dupré.